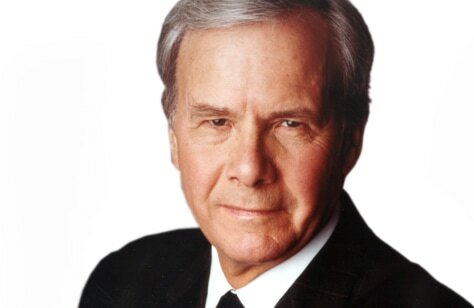 It was recently announced that former NBC Nightly News anchor Tom Brokaw has multiple myeloma, a type of bone marrow cancer that the conventional medical industry says is incurable, though treatable. And while Mr. Brokaw has since come out publicly to say that these treatments have been going smoothly, the mainstream media is insistent that the special correspondent will never be cured of his condition, despite the fact that natural cures for multiple myeloma do exist. In a recent personal note picked up by NBC News and others, Mr. Brokaw explained how he and his doctors are optimistic about the treatments for his cancer, which was originally diagnosed at the Mayo Clinic. With the support of his family, friends and medical team, Mr. Brokaw says he plans to continue living life as normal and hopes that the public will respect his choice to keep the issue a private matter. This is all good and well except for the fact that Mr. Brokaw appears to be ill-informed about his available options for possibly overcoming his disease. One such option includes treatments that involve supplementation with high levels of all-natural turmeric, the South Asian cooking spice that researchers from Virginia Commonwealth University (VCU) recently found is effective at targeting multiple myeloma. As we reported here at Natural News back in the fall, curcumin, the active ingredient in turmeric that is believed to provide the most therapeutic benefits, was found to be an effective weapon against multiple myeloma cells. Published in the peer-reviewed journal Organic & Biomolecular Chemistry, a recent study on this powerful compound verified that it is an effective medicine against not only multiple myeloma and other forms of cancer but also against cognitive degeneration and arthritis. Other research has linked sulforaphane, an anticancer compound found naturally in broccoli and other cruciferous vegetables, to targeting multiple myeloma. Like turmeric, sulforaphane was shown to help enhance the effectiveness of existing chemotherapeutic agents, meaning conventional cancer treatments suddenly become more viable when paired with certain natural therapeutic agents. Large-scale human trials of these natural compounds are admittedly lacking, as the incentives to fund them are in short supply, not to mention extremely costly. But there does currently exist a cohort of scientific evidence published in credible journals showing that these and other verified cytotoxic compounds may be effective at treating certain cancers, something of which Mr. Brokaw appears to be unaware. The Independent Cancer Research Foundation on its Cancer Tutor website also offers a vast repository of information about natural treatments for multiple myeloma. This particular site recommends a treatment protocol known as the "Cesium Chloride Protocol," a pH therapy which involves cesium chloride and can include dimethyl sulfoxide, also known as DMSO, that is mineral-based rather than poison-based. "The Cesium Chloride Protocol is the only recommended treatment for multiple myeloma or any other bone marrow cancer," explains the site. "[It] easily penetrates the bones and gets to the bone marrow where it can kill cancer cells and even the microbes in the bone marrow," it adds, noting that the treatment also helps protect against bone fractures, a common symptom of multiple myeloma. LIVE EVENT!!! Getting off those Meds!!! !